The Coach House offers self catering accommodation for up to 4 people situated at Cushendun in County Antrim. We are superbly placed for those wishing to explore this beautiful part of Northern Ireland further. 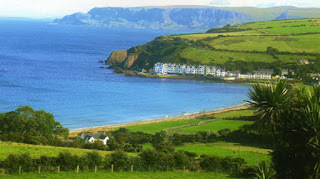 Travel the Causeway Coastal Route to this pretty cottage overlooking Cushendun Beach. It is set in a fabulous coastal location surrounded by private gardens with views of Mull of Kintyre, Antrim Hills and the ocean. Cushendun has a National Trust tea house, Mary McBride’s Pub & Restaurant, The Blue Room Bar and Cushendun Caves which have featured in the Game Of Thrones series.